The Brazz is the college’s informal dining area. It is open to staff, students and members of the public. It’s a great place to meet for snacks, beverages or a full meal. Prices vary and are engineered to be friendly to student budgets! 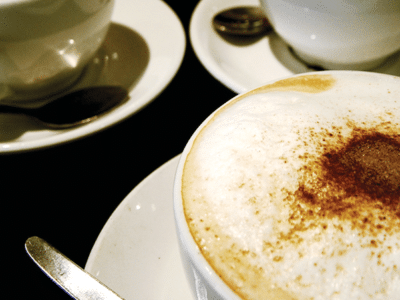 Oasis Café’s modern design, offers the ideal atmosphere to relax and enjoy a selection of coffees, hot chocolates, juices and smoothies. Sausage rolls… and much more! 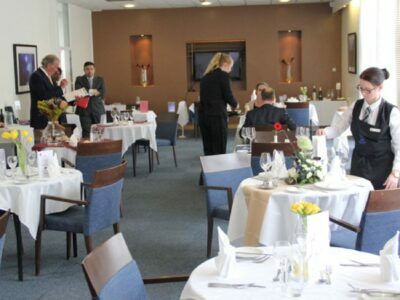 The Academy Restaurant provides great service and delicious food. SUAC Learn Zone is a purpose-built Library and Learning Resources Centre where you can use computers, borrow books, DVDs and videos, photocopy and scan, and learn to present your work professionally. The Learn Zone’s facilities cater for different styles of working and include group work, quiet study and silent study areas. There are also specialist subject librarians and IT advisers to help you to find information and master the technology. The College is on a compact, level site. It has recently completed a programme of works to ensure that its buildings comply with the requirements of the DDA. All areas of the College are accessible to students with restricted mobility and classes will be scheduled to meet the access needs of students with disabilities. 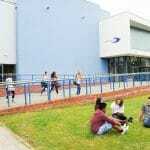 In addition to the above, the College welcomes information on technology or equipment which would be useful for students with learning difficulties or disabilities and, within budget restrictions, will endeavour to help to provide appropriate equipment. The college seeks to comply with the provision of the DDA as it applies to Colleges of Further Education. The College has an outstanding reputation as a centre for drama, theatre, music and dance. The facilities are among the best in the country. A suite of rehearsal and dance studios and a studio theatre complement our extensive performing arts spaces. A dedicated team of technical staff is on hand to assist you with all your production and assignment requests. Stratford-upon-Avon College has a close working relationship with The Royal Shakespeare Company. Birmingham Hippodrome is delighted to be working in partnership with Stratford-upon-Avon College on many creative initiatives and projects. The College is a Founder College of The National Skills Academy for Creative & Cultural. Stratford-upon-Avon College is the first college in the country to achieve the Training Quality Standard with excellence in hospitality, leisure, travel and tourism, in recognition of its outstanding work with employers. 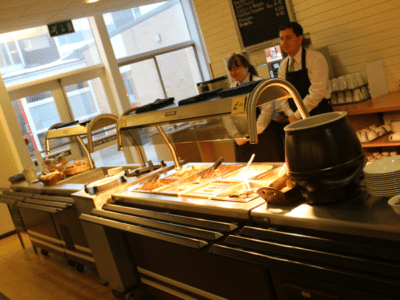 Stratford-upon-Avon College is a recognised centre of excellence in hospitality and catering and boasts world-class facilities and state-of-the-art equipment. Platform One and The Academy Bar & Restaurant are excellent training centres for catering students to develop their culinary skills. 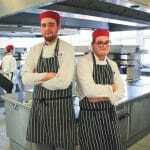 With its outstanding links to industry and specialist staff, the college’s hospitality and catering students are often recruited by top London hotels. Our focus is on the provision of high quality education and training for the region’s workforce in the hospitality and catering industry. We are committed to developing, maintaining and sharing the highest standards of good practice in all areas of our business. 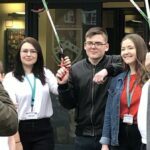 We work actively with other providers, employers, young people, adults and stakeholders to achieve mutual goals and aspirations. suite of music practice room. The number of students seeking a place on music courses at the College is increasing rapidly, which is not surprising considering our industry-standard facilities, experienced tutors and excellent industry links! All of our media facilities at the College are industry standard. They include a digital television studio, digital radio studio, digital audio and visual editing suites, mobile visual edit suite, digital stills editing suite and photography darkroom. These facilities can be accessed until 9:00pm, Monday to Thursday. Technical staff are available to give help and advice. You will also be able to borrow portable media equipment overnight and at weekends. The New Theatre at the College now has a multi-camera, digital television digital recording system which can be used to record shows to a very high standard. It can also be used as a live audience television studio. Stratford-upon-Avon College works closely with local, regional and national media organisations. At Stratford-upon-Avon College, we have a range of facilities perfect for vocational courses. A fully equipped Motor Vehicle workshop including diagnostics and tyre fitting bay. Fully equipped engineering and electrical workshop.